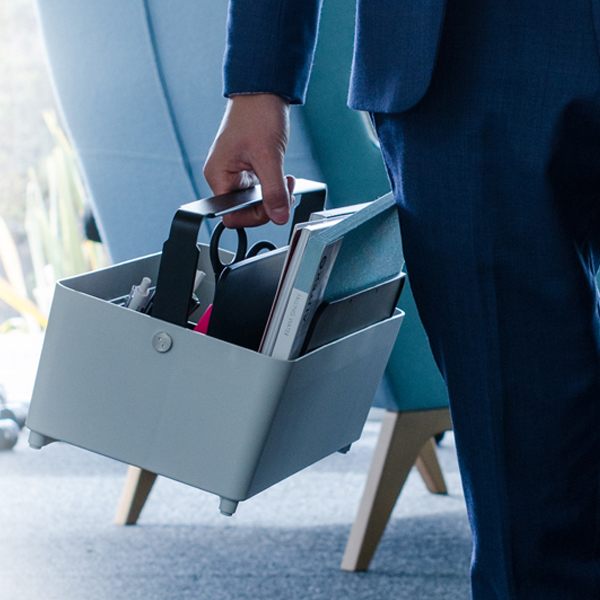 Personal Storage designed by Aspect for Agile or ABW fitouts, the WorkTote allows staff to freely move about the office from their locker to work point whilst retaining their essential work tools nearby. 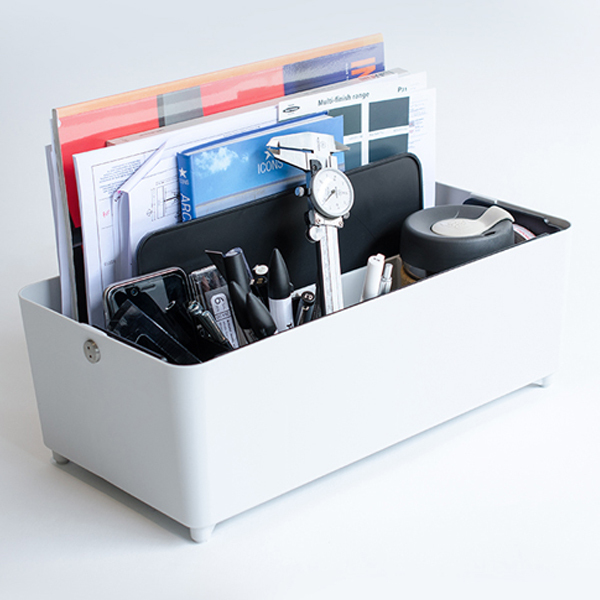 A unique under desk bracket allows WorkTote to function as an under-desk drawer and easily slides into a custom-made rail which may be mounted under worktops. And when on the desktop it slots into the Zurich tool track at the rear of the desktop. 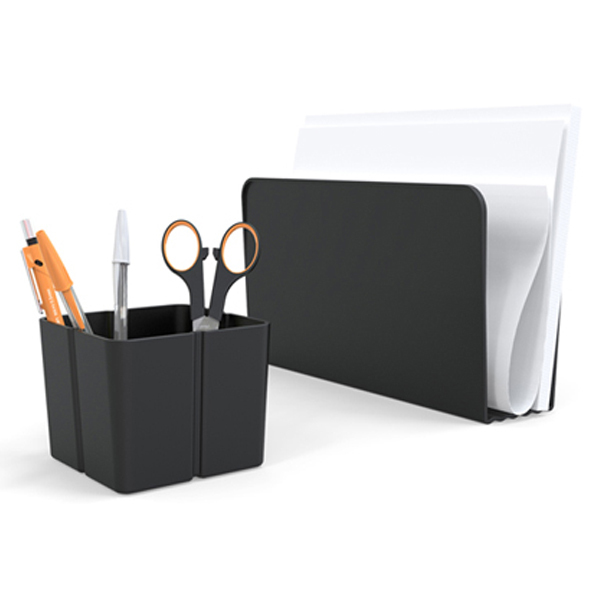 One half of the unit has removable dividers for personal items and stationery, the balance is for storage of files and tablets. 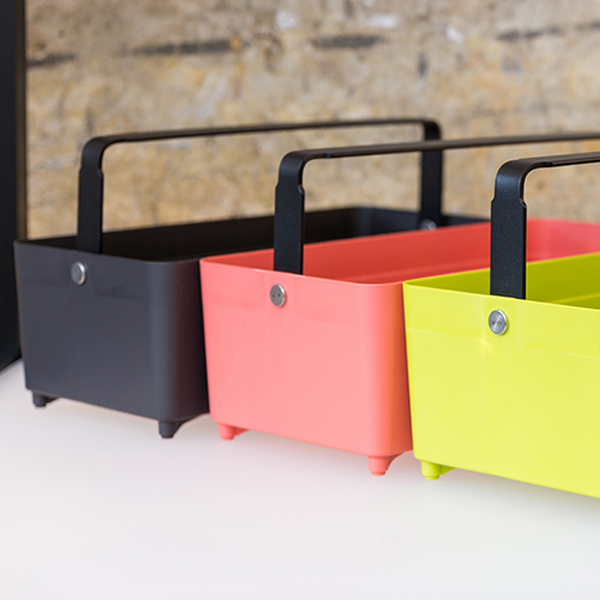 Additional accessory options include the Paper Taco and Pen Bucket which are removable, enabling staff to locate these separately in lockers or on worktops.